Ecommerce is now a reality! During the past two years, the ecommerce ecosystem has grown exponentially; companies have been increasingly trusting on digital strategies. Entrepreneurs and technological platforms develop tech solutions that help expanding this ecosystem. Anyone would think that we are living in the ecommerce era. Although the growth has been exponential, the reality is that ecommerce has not yet reached its full potential at a global level. Customers, agencies, and technology platforms have been responsible for spreading myths and assumptions about closing customers, discarding strategies or underestimating the competition. If you are looking to develop your digital business unit, it is essential for you to have always clear which of these myths are likely to happen. This is why we’re sharing with you what myths you should NOT pay attention when making decisions. To build an ecommerce store is inexpensive. The typical thinking of many entrepreneurs is that setting up an ecommerce store is cheap, the first thing they think is that they do not have to pay for employees, essential services, receipts, rent, salaries, taxes, etc. Well, this is a lie! While ecommerce does not imply some of the expenses mentioned above; digital business has different costs you should consider, such as the TCO that indicates the cost of the technology you are using for your ecommerce. You should also keep in mind the cost of logistics, and wages of the people who fill the orders, among other operating expenses. For example: imagine that a customer wants to buy something, but he has doubts about the product, although nowadays there are customer service bots, it is always important for the final customer to feel that personal attention which is fundamental to closing sales. Therefore, it is essential to have someone helping with any questions, needs or issues that may arise during the shopping process. You will also need to invest in a specialist or agency who has the business vision and technical knowledge to maintain your page according to the needs of the market, for example updating the average age of your page clients. I would not say that running an ecommerce store is cheap. Indeed it is much more scalable because you can automate strategies, you can have people buying throughout the year 24/7, but for this to happen you will need to invest money, time, planning, and human resources that will help you have your digital business fully operational. Good technology will boost your sales. Many technological solutions have for sales slogan “We boost your sales up to 60%” or “We make your ecommerce your best sales channel.” While this is not a lie, it is not 100% true either. It is essential for you to think about the future when choosing an ecommerce platform, an email platform, or some other solutions. It is always worth investing in a tech solution robust enough that will allow your business to grow exponentially. Be careful, having the best technology does not guarantee better sells. Technology plays an important role, but there are some other agents that affect your conversion rate, like your marketing plan (playing with margins and making very aggressive promotions, planning temporalities, and products strategies, etc.). In the end, when talking about digital commerce, technology is implied from the beginning, but without a proper sales strategy and good media plan, it will not have the expected results. This is more than a myth; it is a very common mistake that even large companies make. Let us consider the following scenario: you already have a tech solution, your marketing strategy is ready and running, you have set up all your Facebook campaigns, you have done customer segmentation and interest groups to reach your target audience, and first sales are closing, the traffic of your online store is increasing, but despite the high amount of visits your campaigns are generating, these are not converting. You’ve noticed that a lot of customers make up to seven visits before buying, the cost per visit increases and directly affects the return of investment. As I mentioned previously, running an ecommerce business needs money, time, and human resources. The scenario described above is a clear example of the need for making these kinds of investments. According to a study carried out by Salesforce, a customer could have up to fourteen interactions (seven is the average number of interactions) to be able to make their first purchase, thereafter the retention will depend on you. You must always take into account the customer’s journey. 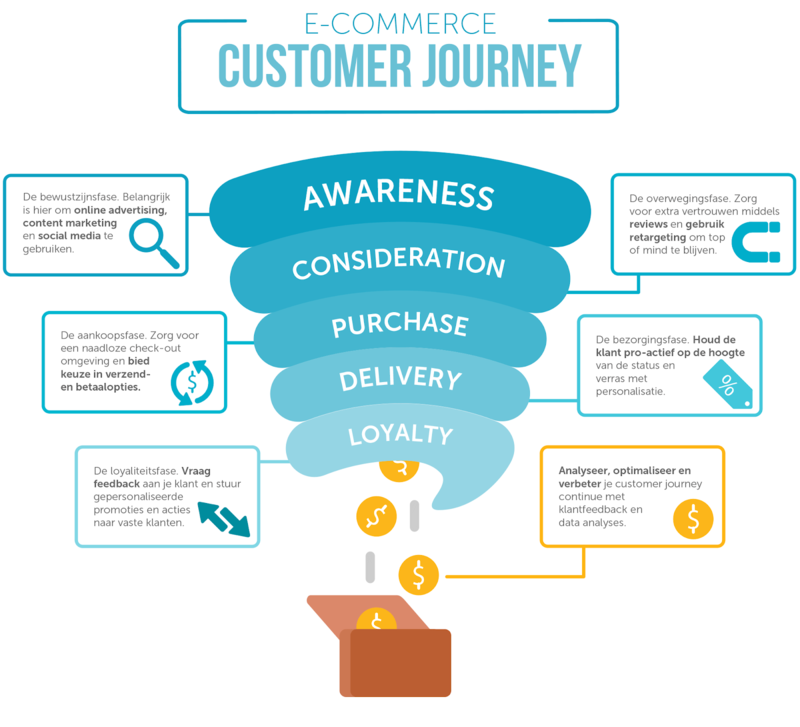 It is essential for you to follow the behavior of your ecommerce funnel when launching a campaign. Sales potential is in your hands from the moment the customer visits your page, but they don’t always have the intention to buy, though they did arrive by a campaign or a search that already represented a cost to you. Keep in mind that you have to feel satisfied with your UX, MKT strategy, and customer retention plan because these will affect your conversion rate on your day by day operation; after this point, your online store will only have to be focused on becoming better. Indeed, some customers buy at their first visit, but in real life, you will find that 80% of your sales require much more work than you imagine, if you did a good job, you would have a clearer picture of your sales and this can help you turn your sales more dynamic. In conclusion, you will hear lots of statements in the ecommerce world, some meaningful and others lacking sense; this is common to happen in a field where we are experiencing a lot of growth. My recommendation is always to see these comments from different angles, don’t adopt them as thought and transfer it to new generations, at the end, we need to run a scope investigation and build our own ideas. We’ve made it clear that ecommerce is not an easy task, there are many details that we must work on, and it is not less work than traditional stores. 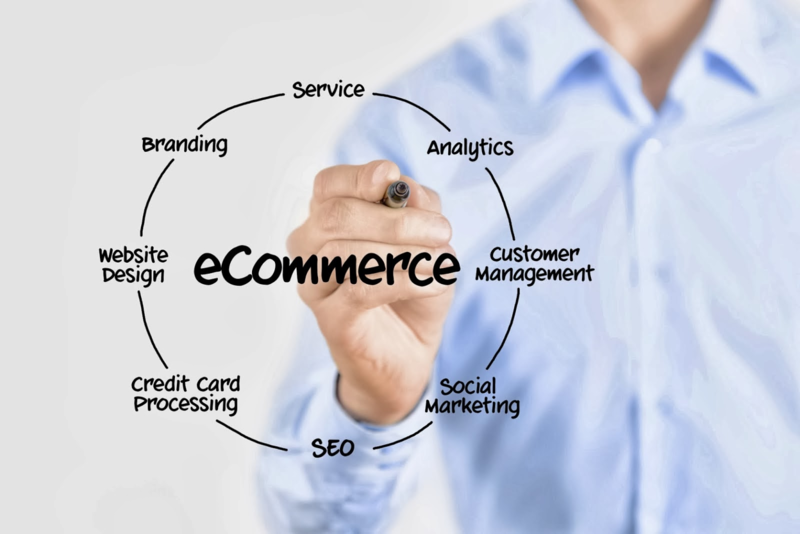 ecommerce is the present and future of doing business, but it does not take the place of the traditional way of doing business, it merely comes to transform the market with strategies like the omnichannel, but this is already a different topic to talk about in another article.